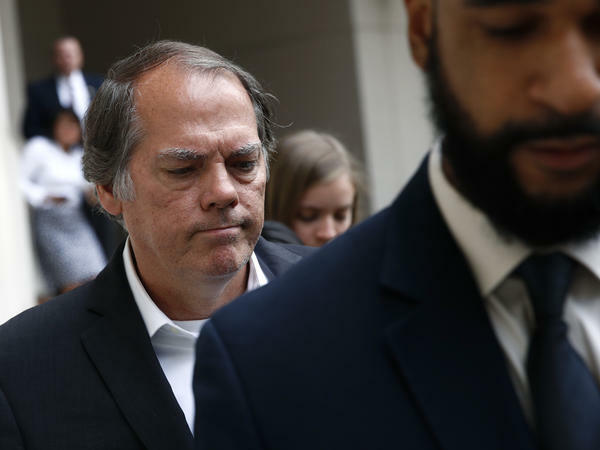 James Wolfe, former director of security with the Senate intelligence committee, reached a plea agreement with prosecutors after he was charged with three counts of lying to investigators. The former head of security for the Senate intelligence committee pleaded guilty to one count of lying to the FBI on Monday in federal court in Washington, D.C.
James Wolfe had been charged with three such counts, but he reached a plea agreement with the U.S. Attorney's office in exchange for leniency and to avoid a trial. Wolfe was permitted to remain free until he's scheduled to return to court on Dec. 20 to be sentenced; he faces up to six months in prison. Wolfe, 57, once dated a young Washington journalist, Ali Watkins, who made a name for herself covering national security in Congress. Wolfe also had relationships with other journalists who covered the panel. Wolfe was never charged with mishandling classified information or leaking to the press, but investigators alleged that he lied to them about his relationships with reporters. He wore a dark gray suit and striped yellow tie in court on Monday, speaking at first in a clear, firm voice when he was asked questions by Judge Ketanji Brown Jackson. Wolfe's voice seemed to pause and break up, however, when the judge asked if he understood that he would have no trial and that he could lose the right to serve on a jury or own firearms. Lawyer Preston Burton got him some tissues. Wolfe said he was "very" satisfied with the services of his lawyers. "We emphasize again today that Jim was never charged with having compromised classified information, nor is such a charge part of today's plea. ... Jim has accepted responsibility for his actions and has chosen to resolve this matter now so that he and his family can move forward with their lives." Wolfe's and Watkins' relationship was the subject of an extensive report this summer by The New York Times, which hired Watkins after her relationship with Wolfe had ended. The paper's editors didn't think it was a reason not to recruit her because she would not be covering the Senate intelligence committee, the newspaper's report said, although Watkins evidently did not tell The Times about some of the interactions she had with investigators who were closing in on Wolfe. A former Senate Intelligence Committee aide has pleaded guilty to lying to the FBI. It's a felony charge. James Wolfe says he misled investigators about his contacts with reporters. NPR national justice correspondent Carrie Johnson is at the courthouse here in Washington. Hi, Carrie. CARRIE JOHNSON, BYLINE: Hi, Mary Louise. KELLY: Start with reminding us. Who is James Wolfe? How did he get on to law enforcement's radar in the first place? JOHNSON: James Wolfe is 57 years old, and he worked as the security director for the Senate Intelligence Committee for 28 of those years. He's often been in the background of those pictures you see of well-known people who were going in to testify or provide interviews as part of the congressional investigation into Russian election interference. He's, for instance, the guy behind the scenes guiding President Trump's former personal lawyer, Michael Cohen, into and out of the Senate Office Building. But Wolfe himself came under scrutiny as part of a leak probe into who may have leaked the notion that Carter Page, a Trump campaign adviser, may have been the subject of a secret Foreign Intelligence Surveillance Court warrant. And Wolfe, in that interview, lied to the FBI in December 2017 about his contacts with reporters. KELLY: Now, I mentioned you're at the courthouse. You were in court this afternoon for this hearing. How did it play out? Did this plea deal come as a surprise? JOHNSON: You know, I can't really say it's a surprise. Ever since Wolfe was indicted in June, it seemed as if things were moving in the direction of a plea deal. Prosecutors had copies of his electronic messages with reporters' texts, encrypted messaging apps, and that made it a hard case to defend. Now, Wolfe was charged this year with three felony counts of lying. But in this plea deal, he'll only plead guilty to one, which means he likely faces zero to six months in prison. And the judge, Ketanji Brown Jackson, let him go home today as long as he promises to return on December 20 for sentencing. KELLY: Did Wolfe himself speak in court today? JOHNSON: He did. The judge asked him point blank, did you knowingly and willfully make a false statement to the FBI about your dealings with reporters? And Wolfe said yes. He broke down a few times, got emotional and choked up, especially when the judge told him there would be no trial and, as a felon, he couldn't vote or serve on a jury or own a firearm. His defense lawyer, Preston Burton, patted him on the back and handed him some tissues on occasions throughout this hearing. And the defense lawyer's also pointing out Wolfe was not charged with and did not admit to sharing any classified information. The defense team also says they're going to emphasize his long public service when he's sentenced later this year. KELLY: Put this into context for us because the Trump administration has made a point of saying it wants to crack down on leaks and on leakers. Does this case represent that in fact happening, and are they doing more beyond this case? JOHNSON: You know, this effort is a little ironic because this administration - the Trump administration - is among the leakiest in the last 30 or 40 years. They have - their Justice Department has charged people in the FBI and other intelligence agencies with sharing secrets with reporters. And there are lots of ongoing investigations we don't hear about much. The FBI of course is quietly working many of these cases. And even when they don't charge a compromise or a leak of classified information like they did not in this James Wolfe case, for people who are interrogated or investigated by the FBI, there is always a risk that they could charge you with lying to investigators instead. That's exactly what happened to James Wolfe here and could be happening down the line with other subjects and targets of government investigations into leaking. KELLY: That's NPR's Carrie Johnson reporting on the case of James Wolfe, the former Senate Intelligence Committee aide who has pleaded guilty today of lying to the FBI. Transcript provided by NPR, Copyright NPR.